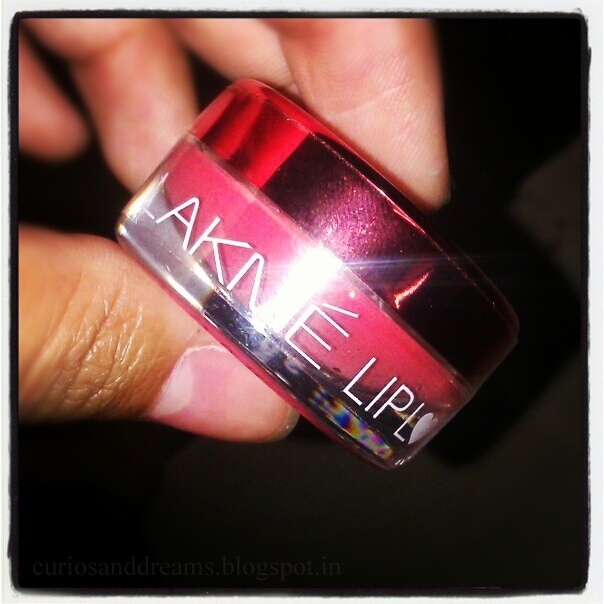 Claims : A gel based lip softener that promises to pamper your pout with color & moisture. 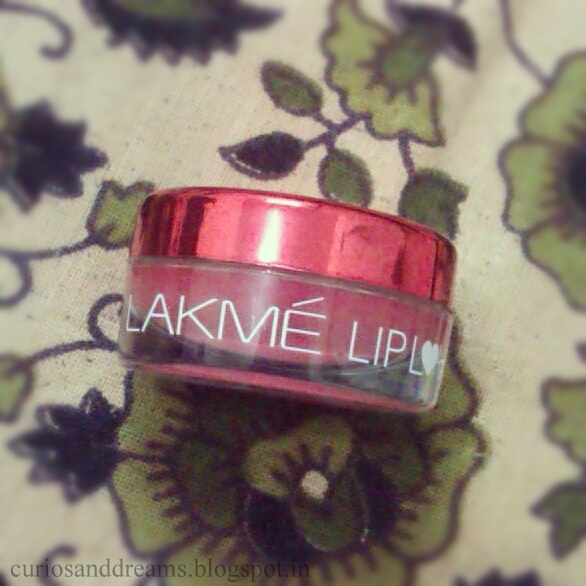 Lakmé Lip Love Conditioner contains Shea Butter and Jojoba Oil known to hydrate and condition lips and SPF 12 to protect from sun damage. First of all the packaging. It is so so cute! A small transparent jar with a mirror shiny adorable red cap. 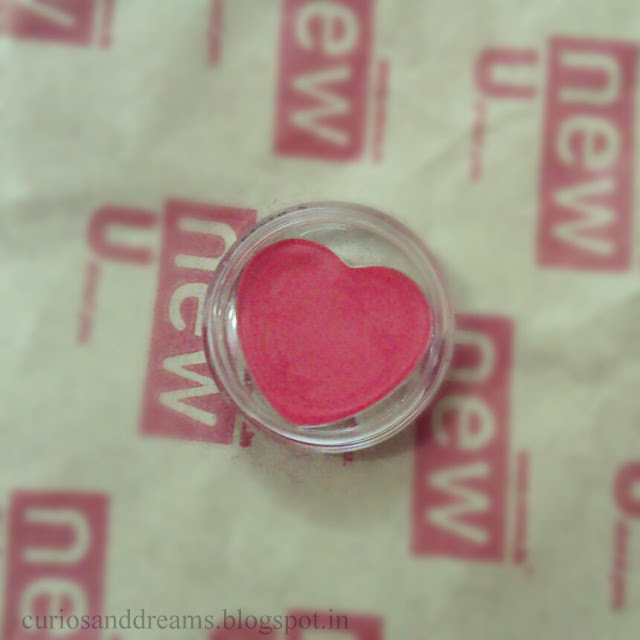 A heart shaped hollow out holds the lip balm/conditioner, as you can see in the pic. (pretty no? I fell for this product mainly for the cute packaging). ●The conditioner is not very pigmented, but it isn't very sheer also. Something in between. And glossy. Which makes it very wearable for college\office\your girls get-together etc. Try applying it with a lip brush. It's easier and gives better colour pay off. (And keeps your fingers clean and non sticky, and maintains hygeine). It will work good as a gloss over a lipstick also. ●The lasting power is an hour or two maximum, which is good considering its only a tinted balm. It survies some light snacking/drinking, but do not expect it to last through full meals. I love re-applying it, so its good by me. ● On the conditioning aspect, its not very good. I expected more out of it. It's keeps your lips soft for as long its on and a little while after also, but you can't expect it to heal chapped/dry lips. You need something heavier for those. (I personally like nivea, maybelline baby lips for that). 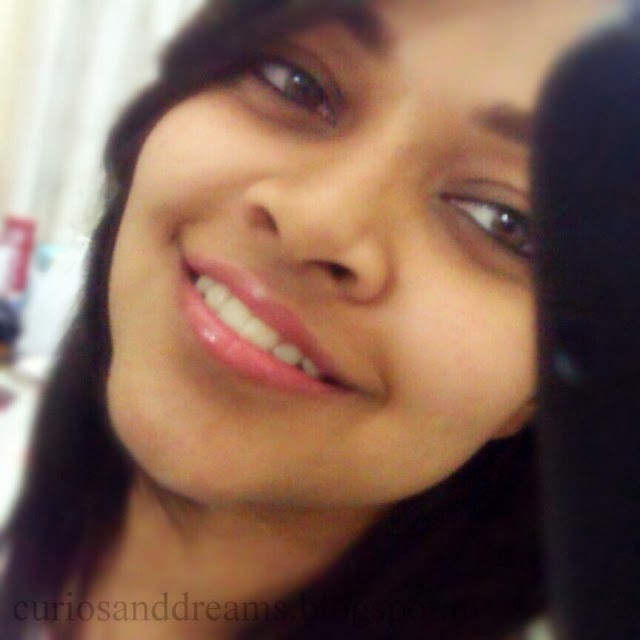 But yes, lip love conditioner smoothens out your lips when applied. ● The smell is a bit strong and sweet. (My roomie could smell it 3 ft away for a few minutes when I applied it first. So, to all the sensitive noses, please do sniff it before buying). ● The only down side is the packaging (which I do love since it looks very cute...great to look at). It's a tub. So you have to use your fingers every time (or a Q tip/brush). It would have been so much better with a stick packaging! It'll get a little difficult once the product starts to get over, with all the digging. It can't be used under a lipstick since it buttery and will make the lip colour bleed and slide. I too bought this product just for the packaging and it was soo creamy and buttery to put.. but it has practical problems I still prefer tubes/sticks for lip balms. Yes. The packaging is cute but it would have been so good in a stick form..